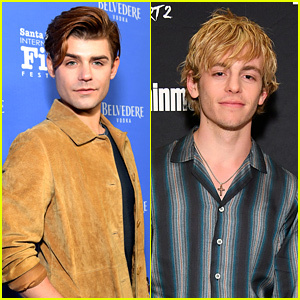 Dylan Playfair Photos, News, and Videos | Just Jared Jr.
How we totally missed this news, we don’t even know, but congrats are in order for Dylan Playfair and Jen Araki! The Descendants 3 actor just recently announced his engagement to fans on Instagram and JJJ is sending all our congrats to the couple! Popping the question in the fall of 2018 on a boat ride, Dylan captured the moment on his feed. “Two days ago I asked my best friend to marry me, to share in all the beauty, joy, love and possibilities this life has to offer,” he wrote. “…Together there’s nothing in this world we can’t do. I love you forever Jen Araki thank you for the light you shine throughout every element of my life. Thank you for taking my hand as we walk this path together, forever. Sending all our love to Dylan and Jen! Dylan Playfair looks all snazzy in his bowtie while arriving for the 2018 NHL Awards held at Hard Rock Hotel and Casino in Las Vegas, Nevada on Wednesday night (June 20). The 26-year-old actor, who just celebrated his birthday, took a little break from filming Descendants 3 to attend the event. Dylan reflected on his recent birthday, giving thanks to the sport of hockey and his family. 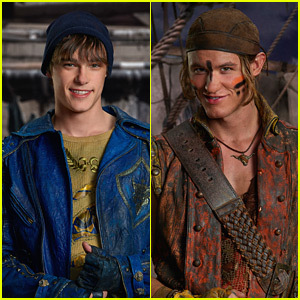 Check out the new looks for Uma, Harry & Gil for Descendants 3! 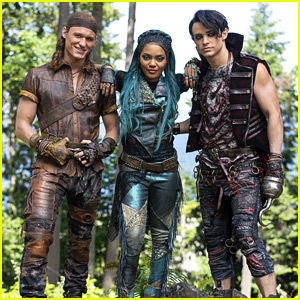 Played by China Anne McClain, Thomas Doherty and Dylan Playfair, the Isle of the Lost villains will return in the third film in the franchise. Thomas‘ Harry has a much darker do than what we saw in the second film, and Uma’s teal hair is ah-ma-zing! 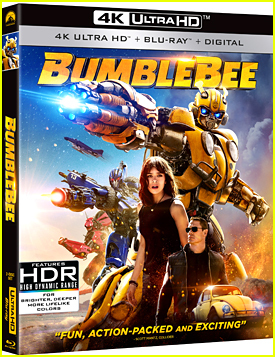 Dove Cameron, Sofia Carson, Cameron Boyce, Booboo Stewart, Mitchell Hope, Anna Cathcart, Brenna D’Amico, Zachary Gibson, Jedidiah Goodacre, Sarah Jeffery, Jamal Sims, Jadah Marie, Christian Convery, Luke Roessler, and Cheyenne Jackson also star in the film. Descendants 3 is in production now and will premiere in 2019 on Disney Channel. Sarah Jeffery To Return as Audrey in 'Descendants 3'! Audrey, daughter of Aurora aka Sleeping Beauty, is returning for Descendants 3! Played by Sarah Jeffery, the character was missing from the second film in the franchise, causing much discussion and confusion as to where she exactly was. 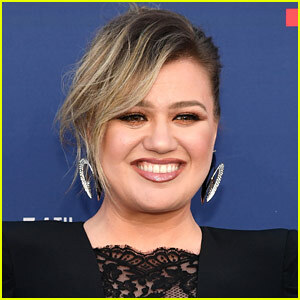 In reality, Sarah was actually filming her NBC series, Shades of Blue, with Jennifer Lopez – and we’re happy she’s returning to Auradon for the third film. 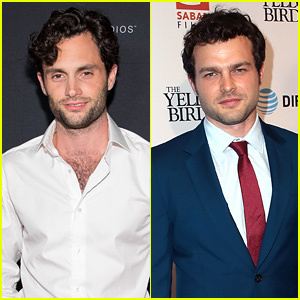 Thomas Doherty and Dylan Playfair will also return for the third film as Harry Hook and Gil, respectively. The three actors will join Dove Cameron, Cameron Boyce, Sofia Carson, Booboo Stewart, Mitchell Hope and China Anne McClain for the movie, which is set to start production later this summer. TELL JJJ: Are you happy that Audrey, Harry and Gil will be back for D3? It’s true — Descendants 2‘s Ben and Gil are really, really, really great friends in real life. 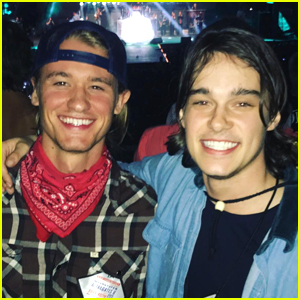 Dylan Playfair and Mitchell Hope were spotted out at a concert over the weekend with director and fellow pal Kyle McCachen. “Saturdays are for the boys @mitchellhopeofficial @dylanplayfair1,” Kyle captioned his Instagram of the two stars. “He’s like one of my brothers,” Dylan shared in an interview with PopMania about Mitchell. Dylan also confesses in the same interview that the two liked to wrestle on set and even got yelled at for doing so. Ha!